I have been doing some work on early use of 1917 Imperial Arms imperforate stamps looking at non-philatelic covers and cards. 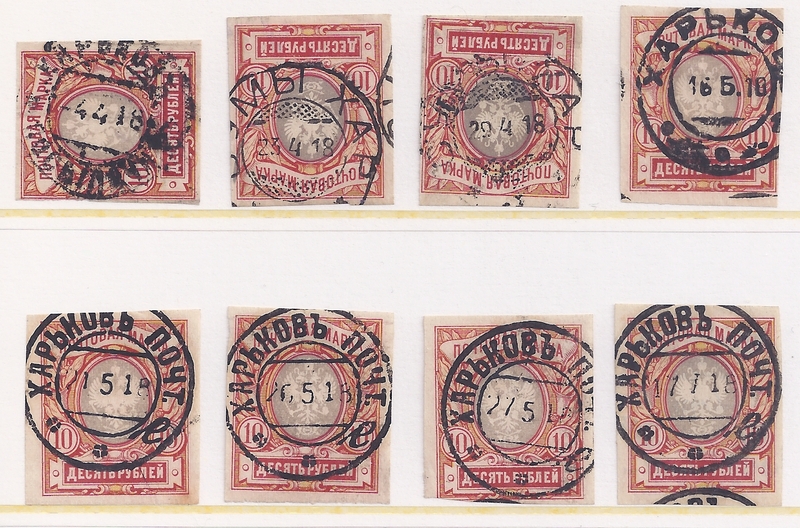 However, for the 10 rouble I have only loose stamps. So far, the only early uses I am able to record are in independent (but German Occupied) Ukraine. Above I show in the top row KHARKOV dated 4 4 18 SUMI KHARKOV 23 4 18 and 29 4 18 and also KHARKOV 16 5 18. Then in the bottom row there are cancellations of KHARKOV POCHT for 21 5 18, 26 5 18, 27 5 18 and 17 7 18. But I think these stamps (and I have others similar) are probably cancelled to order even though they have no gum. The strikes are too similar. Can anyone show uses of the 10 rouble in Russia in 1917 - 18? 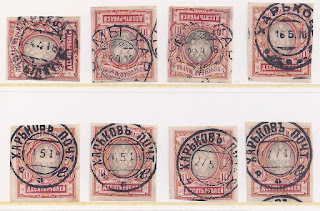 It seems clear that not all district postal administrations received the 10 rouble. 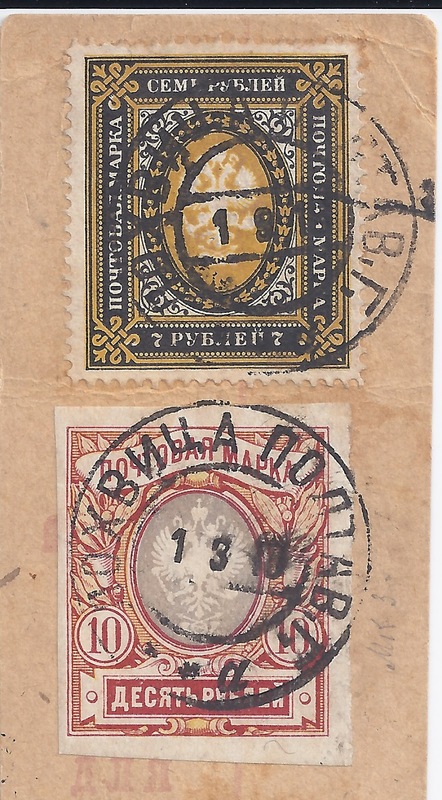 I have never seen copies from Armenia (with or without overprint) or from Georgia, but I have seen a couple of copies from BAKU. 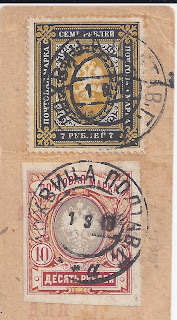 Use in independent Ukraine, with and without overprint is quite common, especially in the Kharkiv and Odesa districts. But they can also be found from Poltava, Kyiv and (as great rarities) Podillia. They are not found for Katerynoslav.